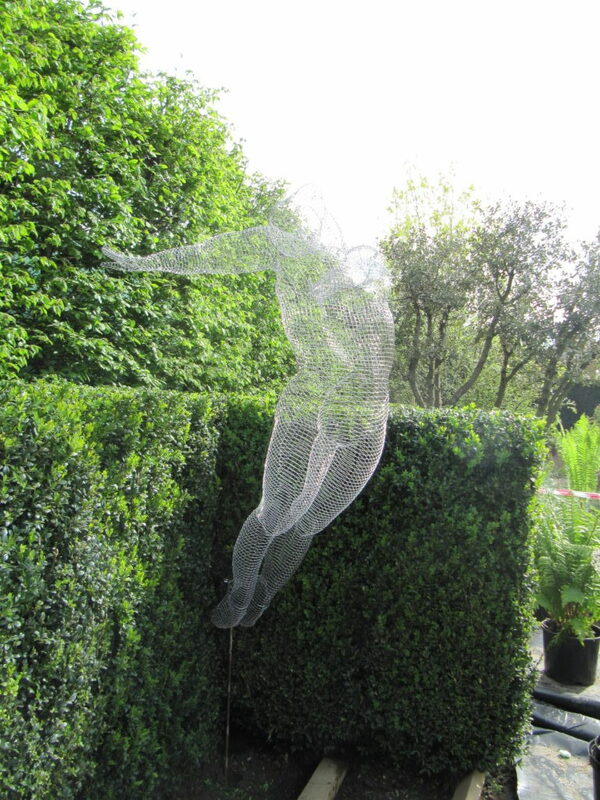 In 2013, BBC’s The Flying Gardener, Chris Beardshaw created a garden for Arthritis UK at Chelsea. Chris has suffered with arthritis for much of his life so this was a cause close to his heart. 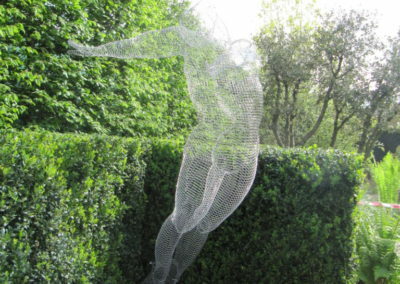 I became in involved when his wife saw my work, showed it to Chris who then approached me to create a vibrant image representing boundlessness, confidence and freedom in managing the condition. 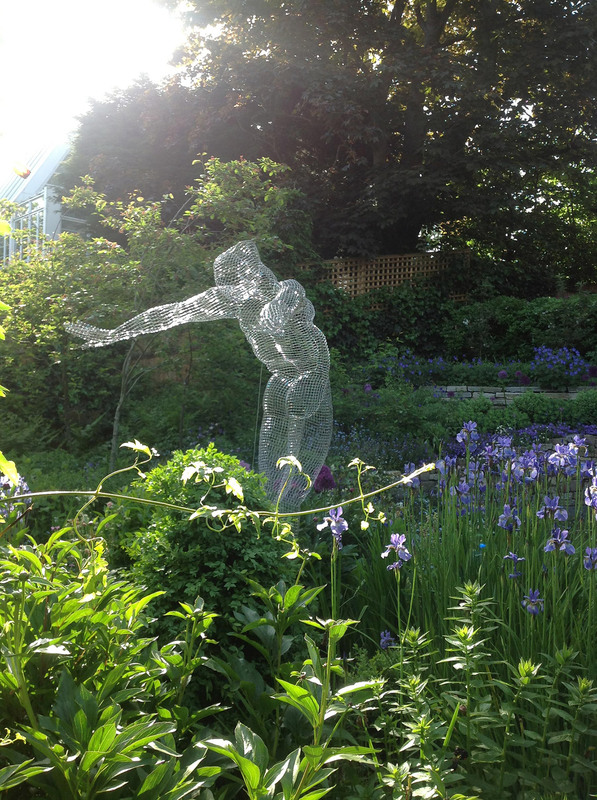 This personal journey and emotions of someone with arthritis were represented across three key garden areas. 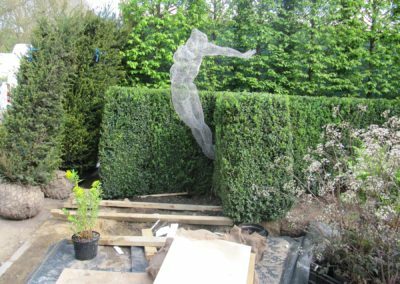 It began with the confusion at diagnosis in the Veiled Garden, a shaded, woodland garden that featured a contemporary retreat and sculpture. 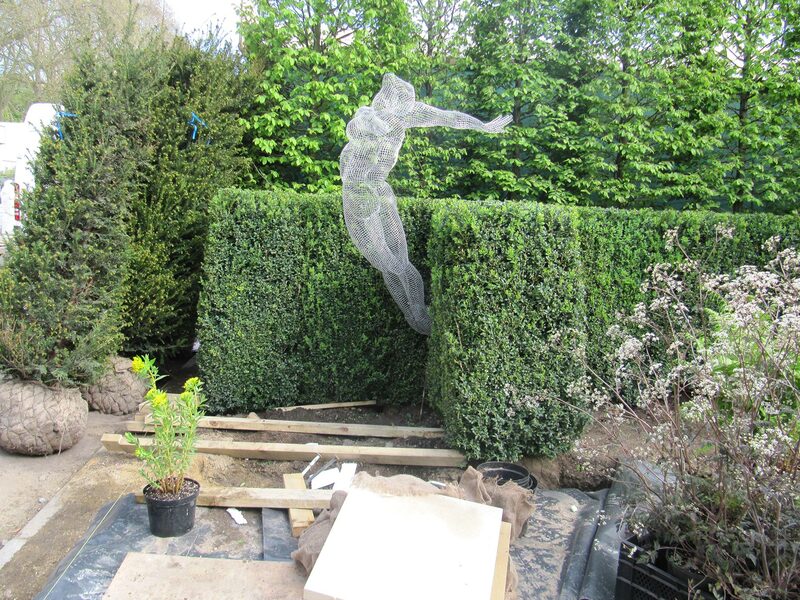 A stepping stone pathway led to the Lucid Garden which was open and formal, representing the wide-range of information Arthritis Research UK provides to people with arthritis. 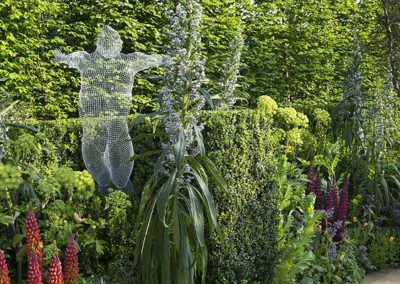 The final section, the Radiant Garden, moved the journey forward into a slightly sunken garden where exuberant, vibrant planting provides warmth, openness and confidence as the person with arthritis learns to manage their condition. 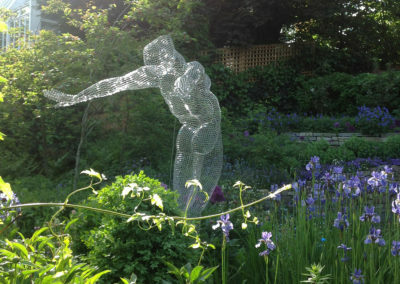 It was here in the Radiant Garden that Libertine took pride of place. 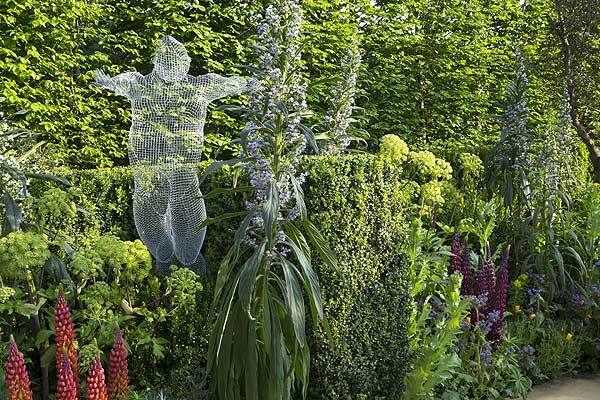 She truly was was front and centre and I particularly liked the way she was installed – elevated with her feet just skimming the tops of Chris’s vibrant planting scheme. But perhaps the highlight of the whole event was being invited to celebrate with a glass of fizz and a chat with Chris in his creation.